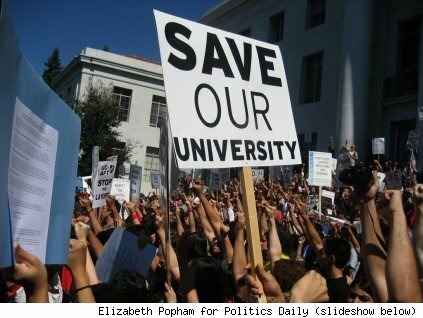 Student protests against tuition increases at the 10-campus University of California system pushed Gov. Arnold Schwarzenegger to announce on Tuesday an initiative to guarantee that the state spends more on universities than it does on prisons. The central role of student protests is not just my theory; it’s the explanation offered by the governor’s own chief of staff. “Those protests on the U.C. campuses were the tipping point” for the governor, Susan Kennedy said in an interview with the New York Times.
. . . continued at TheNation.com.